Red Dragon Island launches this Thursday for everyone! Reminder: Red Dragon Island will be open to everyone this Thursday, June 2! Take another look at the trailer to see what awaits you. 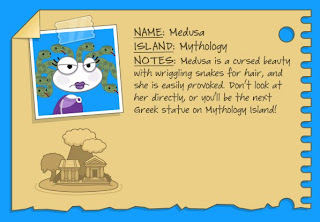 Red Dragon Island is still open to Poptropica Members only. 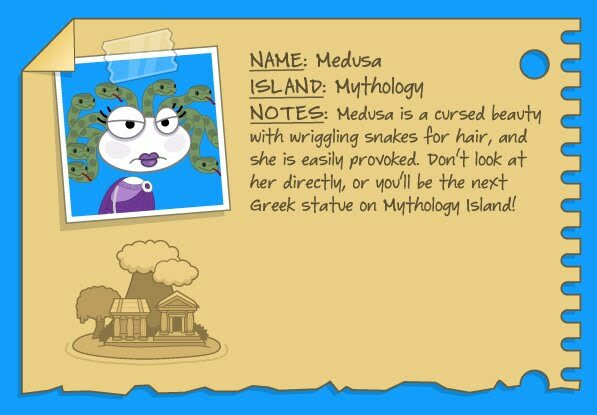 Remember, not only do Poptropica Members get Early Access to new Islands, they also get benefits and extras that no one else does. 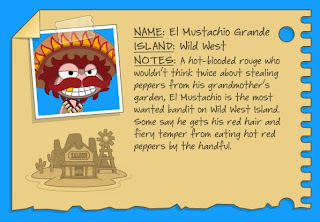 Members only can get the exclusive Midnight Red Ninja costume in the Poptropica Store. And only Members can advance to the upper levels of the "Prepare For Impact" sumo wrestling game, eventually achieving the rank of Yokozuna! Find out how to become a Member today so you can play Red Dragon Island this weekend, and get access to all of the incredible costumes, powers, and special surprises for Members. There's a lot more in store. Don't miss out! 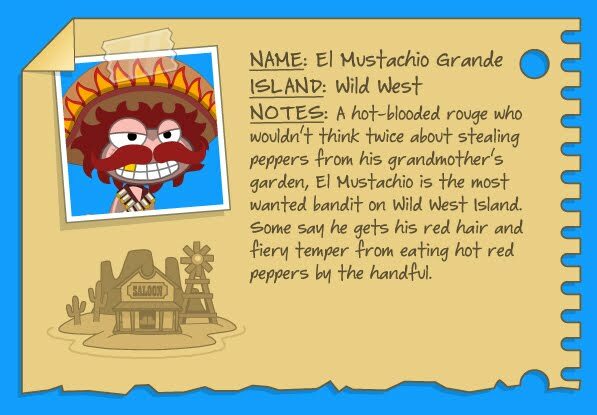 Have you ever wished you could freeze the action in Poptropica, so that you could read a line of dialogue, or look a little longer at a cool graphic? Well, you're in luck! 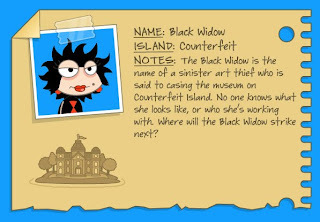 We've added a pause button to the upper-lefthand corner of your Poptropica game screen that lets you stop and resume your game at any time by clicking on it. 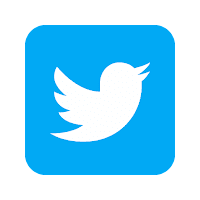 For even faster pausing, you can use the F8 button on your keyboard. Bow! 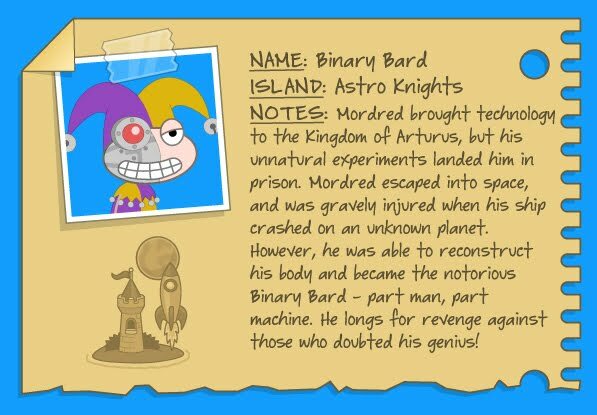 Bow before the Binary Bard, my subjects! Bwahahahaha! 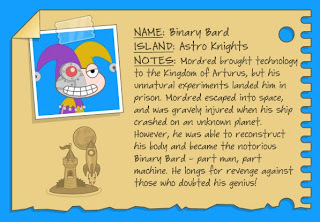 Congratulations to the Binary Bard, your choice for the best Poptropica Villain! Thanks to everyone who voted. Binary Bard will be giving us his reaction in the days to come. Bad news gets worse for the mayor of 24 Carrot Island. Wait a minute, I don't remember this picture being taken. That's not the real Dr. Hare at all. It's an impostor! 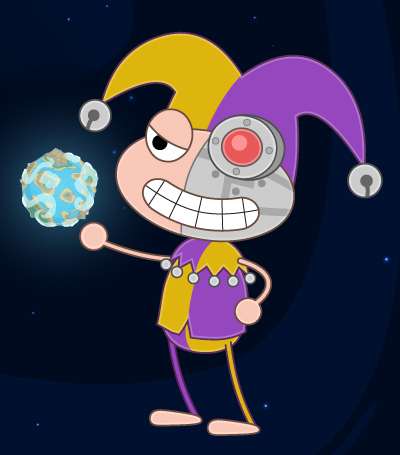 It's prom season once again, and that's why the featured costumes in the Poptropica Store are the Prom King and Prom Queen costumes. The Prom King comes iwth a special action that you can activate by pressing the space bar, and the Prom Queen has five different color options to choose from. And remember, you can costumize all or part of these costumes to create your own unique look. You might even invent a costume that no one in Poptropica has ever worn before! 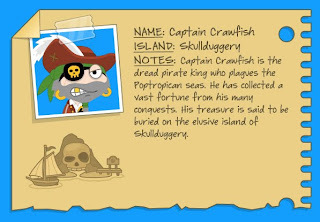 You already knew that you could get a Poptropica Game Card and redeem it for 12 weeks of Poptropica Membership. But now, you can get an extra FREE MONTH of Membership when you buy a Poptropica Game Card at Target stores! That's 12 weeks PLUS an extra month of Early Access to new Islands, and access to all of the costumes and Gold Cards in the Poptropica Store. This offer is only available for Game Cards purchased at Target. And since we're in a free mood around here, here's a Red Dragon Island wallpaper that you can download, in two different sizes! After the launch of Red Dragon Island, which takes place mostly in old Japan, some of the Poptropica creators decided to celebrate with a Japanese lunch -- sushi! Mmm-mmm! 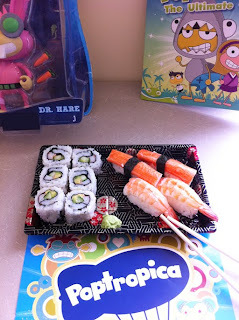 So delicious, you'd never guess that it was made out of raw fish. No, not "Crawfish." Raw fish. Nobody noms Captain Crawfish! 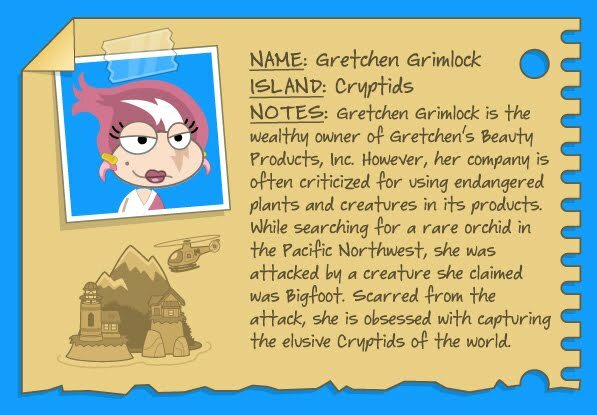 Greetings, Poptropicans. 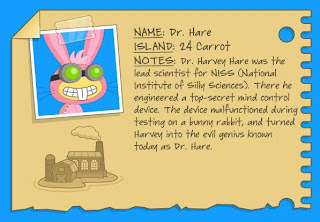 Dr. Hare here. 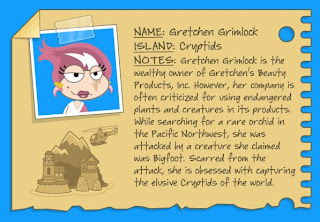 From the deepest reaches of outer space, I am writing to correct a grave injustice currently being perpetrated on the Poptropica Creators' Blog. My minions have informed me that I am losing my matchup against Zeus. This must not stand! I get it. If Zeus and I were to literally fight one another, yes, even I admit that it would not be a fair fight. His lightning bolts would zap my big pink ears clean off. Sure. But that's not how you should be choosing. I ask you, which villain is more cunning? Whose evil schemes are more elaborate? Who has the better outfit? Dr. Hare, Dr. Hare, Dr. Hare! 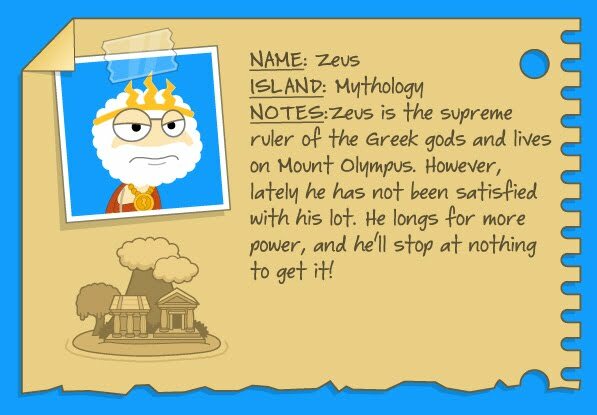 As Poptropica's first super villain, and still the best, I am giving all Poptropicans one last chance to correct this grave mistake before voting closes tomorrow -- or else! Here's your first look at the map for Red Dragon Island, presented by Magic Tree House. Is the suspense killing you yet? We'll have exciting news about this new Island very soon!